How Finch & Fouracre designed, developed and built the model of a distillery for the Scotch Whisky Experience. It’s been epic, with lots to consider. Here’s how I did it. All you need to know to get started commissioning a model. From brief and budgets, to materials and styles. A little bit of time to breathe and relax! … but not too much! Anderston Kelvingrove Church, for Collective Architecture. 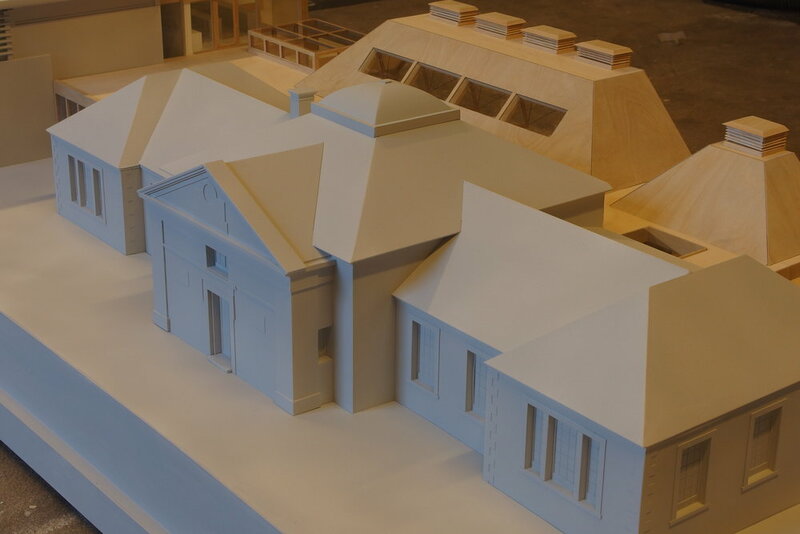 The model showed the proposed alterations to the church, modelled in timber, with lift off roofs. Edinburgh Academy proposed extension for LDN Architects. The proposed was modelled in timber, while the existing was modelled in grey. So now, I’m working on some other bits of projects (you may have seen some of my distillery project on Instagram, @finch_and_fouracre, which still needs some finishing touches! ), more of which to follow! And finally having a big old tidy up in the workshop.